We must prepare ourselves to know truth. We must prepare ourselves for taking on the world by creating peace in our words like the peace and serenity we see in nature. The beauty in our words honour humanity and humaneness. We should learn the skills of constructive and effective communication- nourish negotiation skills and norms, listening skills and conflict resolution. The clarity of the message we are trying to communicate is vital to ensuring peace and understanding. We should practice reflective listening. We should reach behind the words. We should find the truth as revealed verbally and non-verbally. True listening finds the truth, makes sense of and understand what others are talking about.Therefore, hearing is not the same as listening. We need to be active listeners. We all desire to hear and be heard. We all desire to communicate and be communicated to effectively. The understanding of others culture, values and practices shape the way we communicate. We should understand the nuances, the rhythms and patterns of productive, generative conversation.The way we communicate with others is essential in how we inform, speak, persuade and the manner of approach because we need to communicate with others in meaningful healthy ways. We should weigh our words with wisdom. We must know truth. We must make beauty. Words for peace makes beauty. by: Ayo Ayoola-Amale. Peace Recipe: Live the Golden Rule. Peace is to value human dignity and worth. Peace is people caring about people. 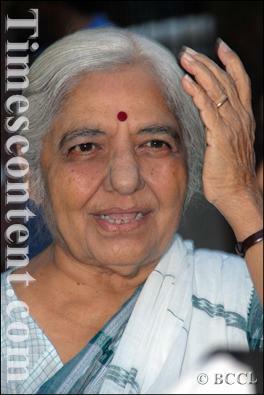 Wilpfer Ila Pathak was until her death the President of Women International League for Peace and Freedom, India Section. A former Professor. She was the founder of Ahmedabad Women’s Action Group (AWAG) Ila was an active member of MSD and Vice-President of People’s Union for Civil Liberties’ (PUCL) She was 80 years. Ila, you told me you were ill but not that you were leaving us. Ila you lived life. Peacefully you sang a song of living. You have walked and lived with the sun. Ila you lived life.